It’s not easy being a 1st time home buyer in these post-recession times; luckily, though, there are several grants, both at state and at federal level available for such buyers. There are also several state-funded tax credit programs for first time buyers. Today, we’re going to focus on the First Time Homebuyer Credit, as explained on the IRS and HUD websites. 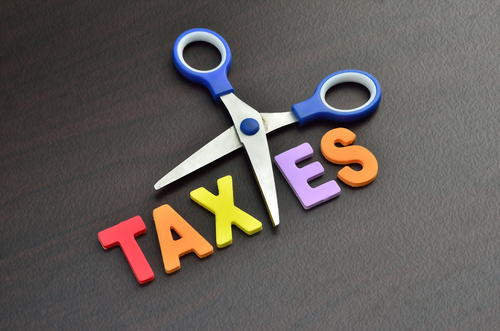 Let us start you off by making it very clear that the federal tax credit program, which ran from April 2008 to May 2010 is no longer available. Now, you may regret the expiration of this program, which gave first time residence owners a tax credit that amounted to 10 per cent of the buying price of the home. The program, capped at $8,000, has ceased to exist, but there are plenty of other alternatives that you can explore, both at state and at federal level. Are you eligible for first time home buyer credit? Individuals who have not owned any principal residences over the three years elapsed up to the date when the property for which they receive the credit was bought. This rule also extends to the spouses of buyers, should any one person in the couple meet the above criterion. Individuals who have only ever owned residences not fixed to a foundation, as defined by current laws and regulations (e.g. : some mobile home owners). Individuals who have only ever owned property that cannot be brought to current residential standards and/or building codes (at state, local, or model level) for less than the cost of building a structure that’s permanently affixed to a foundation. A homemaker, be they male or female, who has been displaced from their previous residence, and only ever owned a home together with a spouse. A single parent who has only ever owned a home with an ex-spouse. The short answer is that the two notions are definitely not synonymous. With a deduction, you get taxed for a smaller portion of your income. However, you save more money with tax credit, because deductions depend on the taxation bracket that you fall into. Case in point: if you’re in the 25 per cent bracket, a $100 tax deduction would save you $25 on taxes. Meanwhile, a tax credit in the same amount would actually mean paying $100 less on taxes. So, if the federally funded tax credit is no longer available, what options do you have for saving money, as a first-time buyer? It all depends on where you live. There are state-ran programs in each of the 50 US states and their terms and conditions differ. In states like Washington, Ohio, and Illinois, for instance, you can receive financial aid for the down payment, for instance. In order to qualify for such help, you will need to make proof of income within a certain bracket. Furthermore, some such programs also cap the price of the property that you can buy with this aid. If you are, indeed, eligible, you may also receive financial aid with property rehabilitation costs, as well as with some of the closing costs involved in the purchase. Though first-time buyer programs differ from one state to the next, they all apply the same eligibility criteria in defining first time buyers. You can check out the program or programs available in your state here, on the HUD website.